A few weeks ago I was driving from the coast when I saw a beautiful field of Poppies. Immediately my thoughts turned to our baby girl Poppy (our stillborn daughter in 2014) and memories and wonderment ran through my mind. I often will say how hard it is to have her missing from every picture I take, from every memory we share and from every ordinary moment of life. With a name like Poppy it is easy to find associations and little keepsakes to help us reflect on her, but what I have wanted most is pictures. Pictures of all of my kids, pictures that remind me as the years pass by that I have had 4 kids and not just the 3 little beans everyone sees us with. 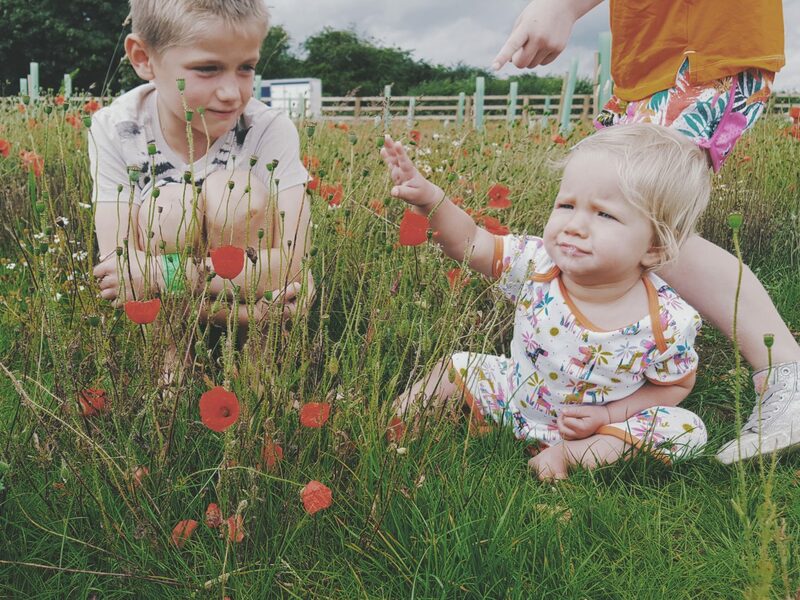 The Poppy fields seemed like a great setting – a great place to show my 3rd child in pictures. Since she has died we have used the Poppies growing at the side of roads, fields and parks, to illustrate her still living in heaven to the kids. We often will say “Oooo Poppies, maybe she’s been here and has left these to remind us!”. It is an ordinary moment on days we see them growing, to be excited at the thought of her. The kids use them (like hundreds of others with the wars) to remember and talk of their sister. 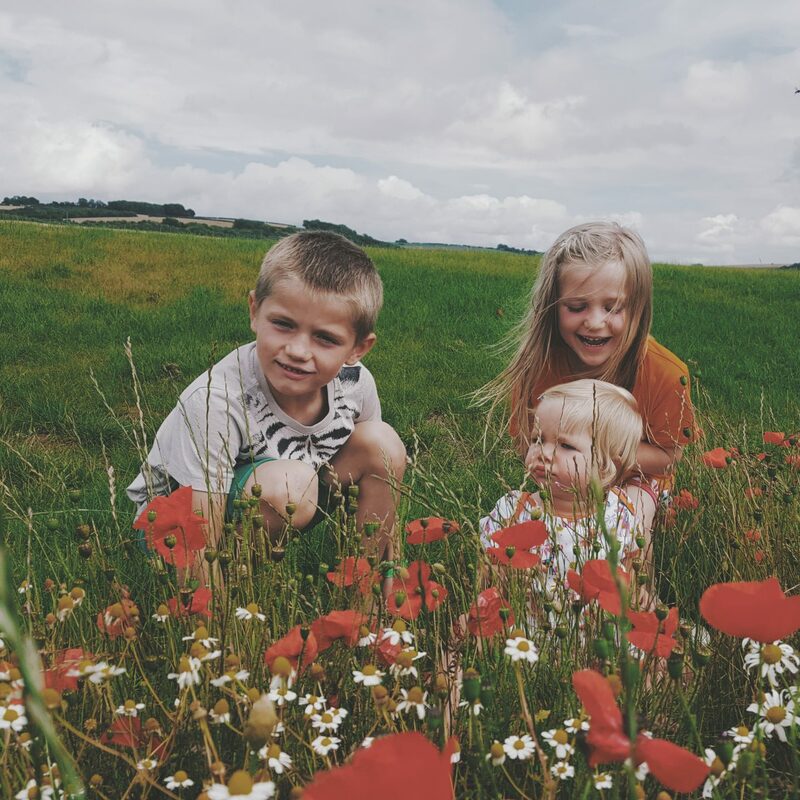 I thought of different set ups we could have, but in the end, and with some tips from my friends at Sands, a simple family shoot in a Poppy field seemed right. 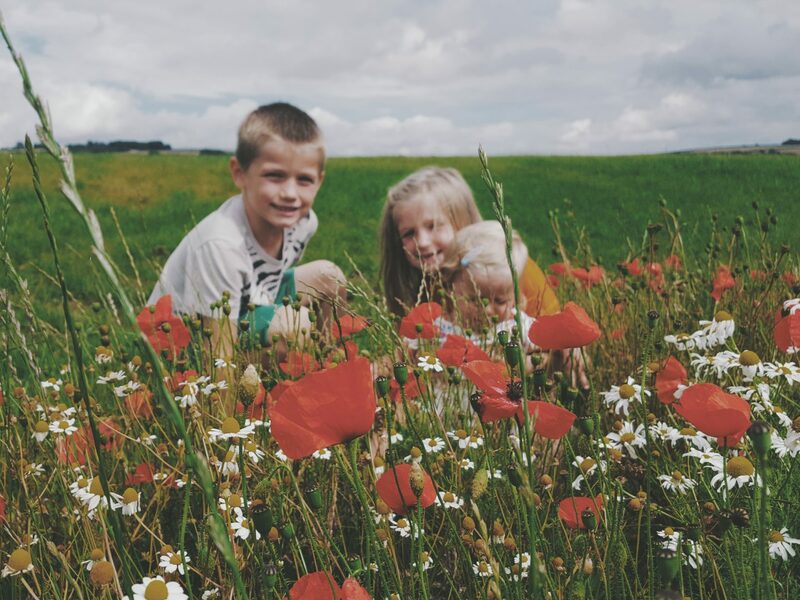 As we passed some Poppy fields on Thursday I coaxed the kids out of the car for a “Practice run”, but of course things with kids rarely go to plan. Between shoving each other, whining and my battery dying (don’t get me started on that), we ended up with only a couple of semi decent ones. I look at them though and see my world in one picture. 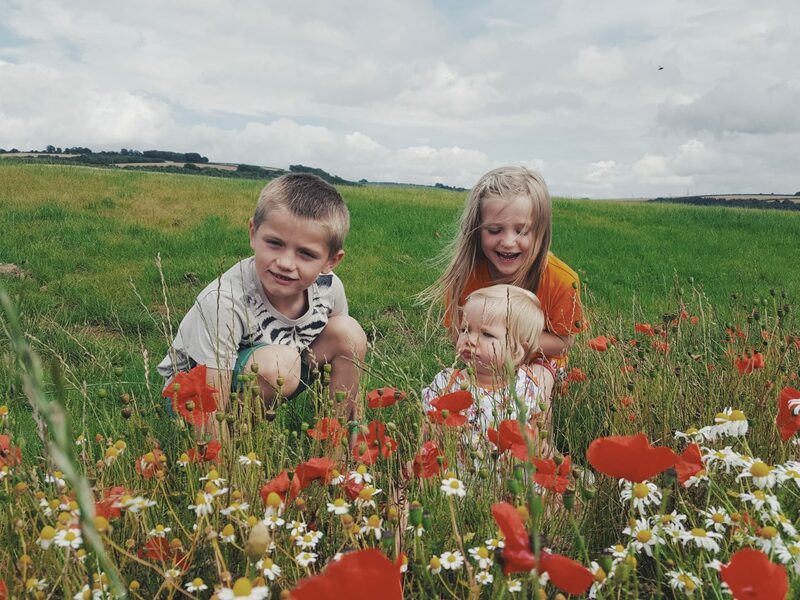 And whilst I still want to try and get us all in a Poppy field for a “Proper” family photo shoot, but for now I see the beauty of my living kids next to the simple beauties of a Poppy field, and for one ordinary little moment 2 worlds combine to capture my blessings. I will never have all 4 in pics (or even my arms), but little moments like this along the way briefly fill my heart with joy!